This luxurious condo is a Lanai Unit offering front access to parking and rear access to pool and Lazy River. It has flat screen HD TV's with Bluray players. Many extra appliances such as microwave, toaster over, crock pot, and coffee maker. Multi-level rear patio with private hot tub just feet away from the Lazy River. Not only one of the nicest units, but one of the most conveniently located units on the property. Once you have stayed in this Condo, you will never look anywhere else. PLEASE NOTE: This condo is not a fully handicap accessible. The sinks are not lower, the bathroom does have a standard door and the shower is not a roll in shower. There is a raised metal piece at the sliding door that prevents a wheelchair from accessing the balcony easily. 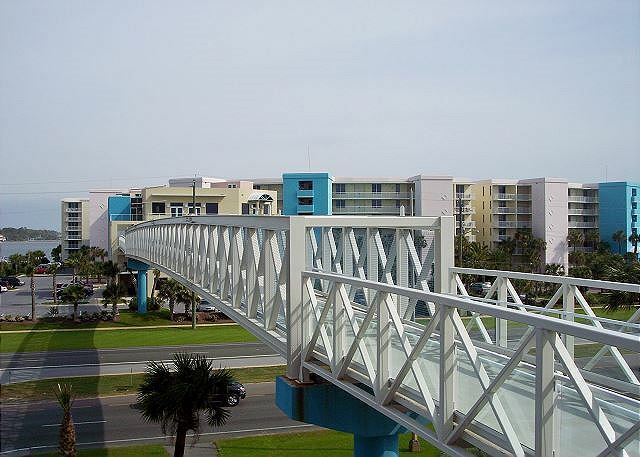 There is an elevator for the building and all amenities can be accessed by a wheelchair. 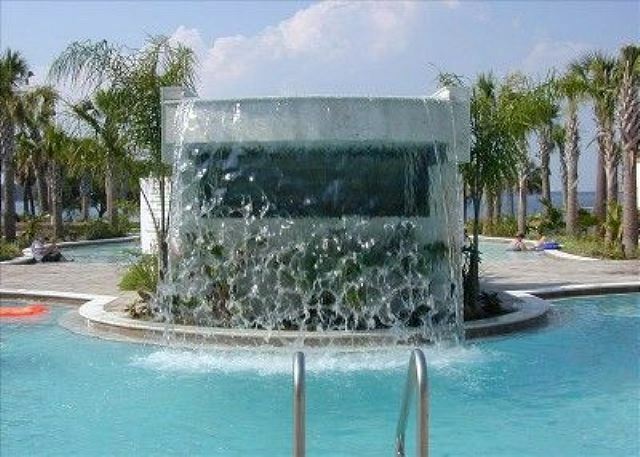 If you have special needs please contact us for full information regarding this condo and the resort. WANT FAMILY OR FRIENDS NEAR BY? Take a look at VRBO #: 455234, 470949, or 152192 ALL of these units are located in the same building, on the same floor. Most are next to each other or one unit apart. ***All reservations require a $49 property damage protection fee which covers up to $1500 in damages. Reservations made online will be billed the $49 automatically. PLEASE DO NOT PURCHASE DAMAGE INSURANCE THROUGH VRBO AT THE TIME OF BOOKING AS THIS WILL BE A DUPLICATE CHARGE. TRAVEL INSURANCE ALSO OFFERED BY US. PLEASE CONTACT WITHIN 48 HOURS OF ACCEPTED BOOKING FOR PRICING. 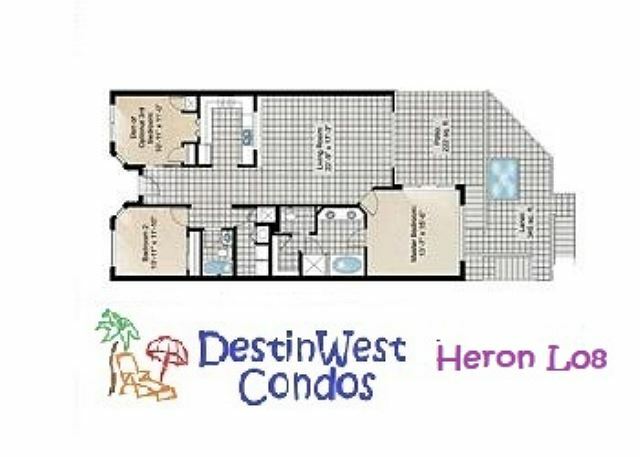 Our stay at Destin West Heron L08 was fantastic! Me and my group loved the condo- it was spotless and met all of our needs. The condo had lots of silverware, dishes and towels which made our stay even easier! Definitely recvomend it here. This place made our trip one to remember! Super clean and super cute! Dear Ms. Driesenga, We love hearing from our guests and are so pleased that you enjoyed your visit in Heron L-08! We'll be saving some sunshine for your next trip and hope to see you back again soon! Great Location! And Great Room! The room and location were awesome. 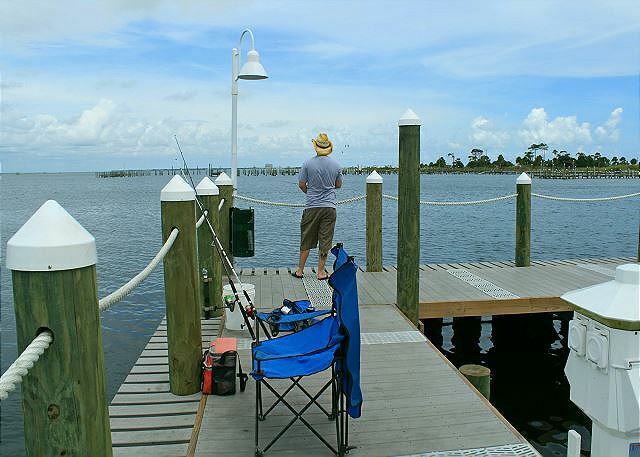 The location was great about 10 mins from Destin. 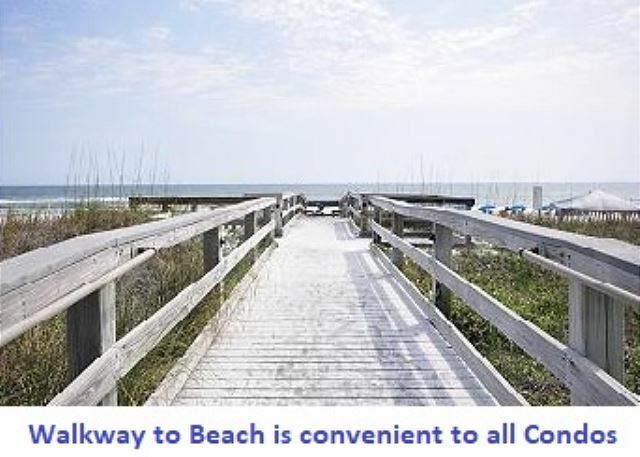 The bridge walkway made getting to the beach no issue. The wagons that were provided and chairs were a great perk! The pool was heated and felt amazing! The pool area was beautiful. Only complaint the pull out couch bed was broke on one side making it difficult to pull out and put awake each day. We had 5 young kids and plenty of space! Dear Ms. Ronnebaum, Thank you so much for this amazing 5 star review! We love hearing about the things you enjoyed in L-08 Heron! I agree that the location and size is wonderful! I'm sorry you experienced some difficulty with the sleeper sofa and would like to express that at ANY time during your future stays with us, we are only a phone call away to handle issues like this. It truly is our pleasure to help you have the best experience possible. Sometimes screws work themselves out and and it's just a matter of locating it and putting it back in. We will look forward to having your family back again soon, and in the meantime we'll save you some sunshine! We absolutely loved our stay. The condo was great and had everything we needed. We had 2 kids 5 and 6 who loved the bunk room and convenience of the lazy river. 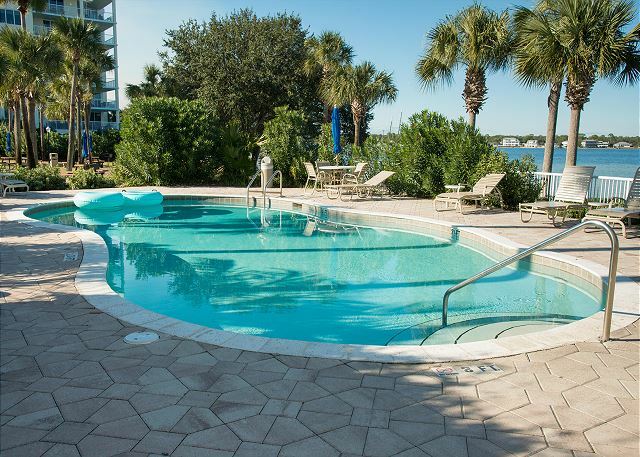 Destin West in general is so great when you have kids with conveniences such as wagons all the beach toys to the lazy river and splash pad. My only thing I would say would like better is check in time to get in room. It would be nice to get in earlier. Our favorite place to be and will be back next year! Dear Ms. Whitlock, Thank you for taking the time to leave us this wonderful review! We love hearing from our guests and truly appreciate the 5 stars! We'll be looking forward to helping you book your next trip whenever you're ready to put your toes back in the sand! This was our 3rd time staying at Destin West and we never want to look for another place since this worked for us since the very first time. 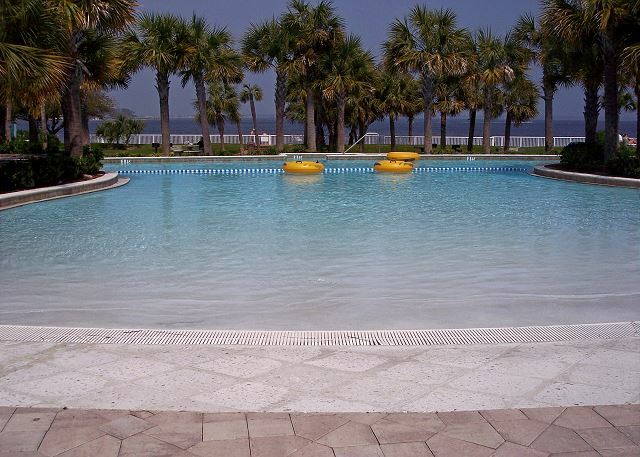 I love the fact that the walk to the beach is convenient and love even more that we have our own Lazy River just steps down from our patio, where the kids can just go and we can still watch them, as we bbq on our own pit as well. The kitchen is very well equipped and the size of this unit is just perfect for a couple of families. We never have to leave the area and this time we even rented a pontoon boat, which is located right next door. The whole team, including the owners are extremely professional and caring. We cannot wait to be back again next year. 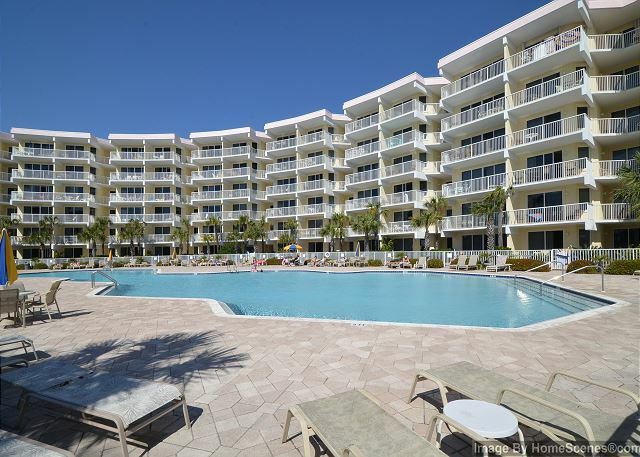 Dear Ms. Hardtmeier, We're so pleased to hear that you loved your stay in Heron L-08! I cannot agree more that this unit is top notch in convenience! We're so grateful for these wonderful comments and will be counting the days until your next visit! Until then, we'll save some sunshine for you! This was our 5th year and maybe the best. Destin West has everything needed to keep our 3 very active boys thoroughly entertained for the entire time we are there. 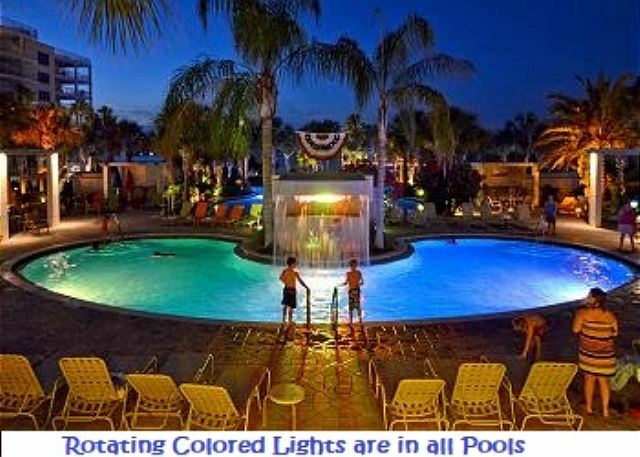 It is very family-friendly so everyone loves the accommodations. The condo is well maintained and clean. If we turn in a request for an issue, it is always handled immediately. We will now begin counting the days now until next year's stay ! Dear Ms. Griffith, We love hearing from our guests and are so happy to hear that you had such a wonderful time with us! Thank you for the five star review! We'll also begin the countdown for your return trip next summer! We had a wonderful time at Destin West in L08. The beach was beautiful and the lazy river was just what the doctor ordered. Juli and her staff were the best. We will definitely be back. Dear Ms. Sutton, We're so glad you enjoyed this beautiful Lanai level unit! Everyone needs a little "vitamin sea" and we're only too happy to help with this in anyway possible! I've shared your praise with all of the staff. We're looking forward to your next visit! Good time, great location. The outside patio area was very dirty, cups, cans and weeds around the hot tube. The grill was unusable because of plastic or similar itme melted inside. One bed inside was broken and the kitchen was missing many pots, pans and utensils. I did communicate with the property manager and they did address the concerns quickly. The listed concerns should have been addressed by the cleaning / maintenance staff before our arrival. We had a great time. Loved the condo and it's location. Access to beach items in the garages was amazing. Did have issue with batteries on keypad on door, but received immediate response and fix each time. Condo well equipped and maintained. 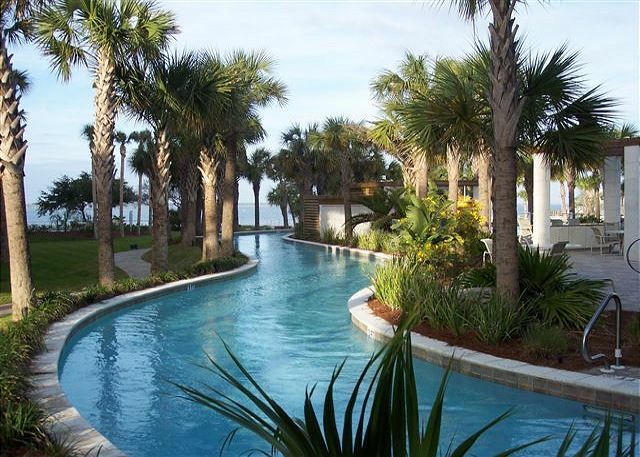 Love the Lanai level for access to lazy river/pool. Highly recommend Destin West Beach and Bay!!!! Thank you, Barb, for your kind words. We look forward to seeing you back in the future. This unit was very nice. The location on the grounds was fantastic. It is first level right beside the lazy river. The private hot tub was wonderful. The bunk room has a twin over full bunk with an additional twin trundle. You can sleep 4 in this room comfortably. We enjoyed this unit and our stay very much. I would return again! Love this unit! Very nice and great location! Thank you so much. Customers like you guys make our job so enjoyable. Hope to see you back soon. Brittany, thank you for the review! So glad you had a nice time. Condo was clean on arrival. Had plenty of room for family of 10. Everything was in working order. Would definitely recommend it. My family and I have stayed at Destin West many of times. This was our 6th stay! This condo was awesome. It was our first time on the bay side and we really enjoyed it. 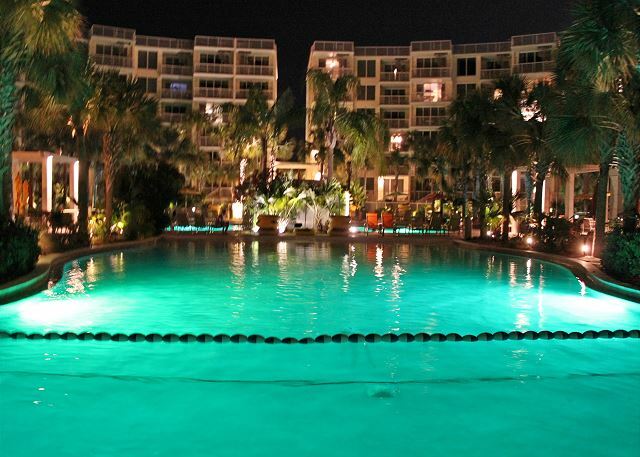 It was great being steps away from the lazy river. The condo was beautiful and very spacious! We had 7 adults and we could have had a few more even :) Looking forward to our next visit!